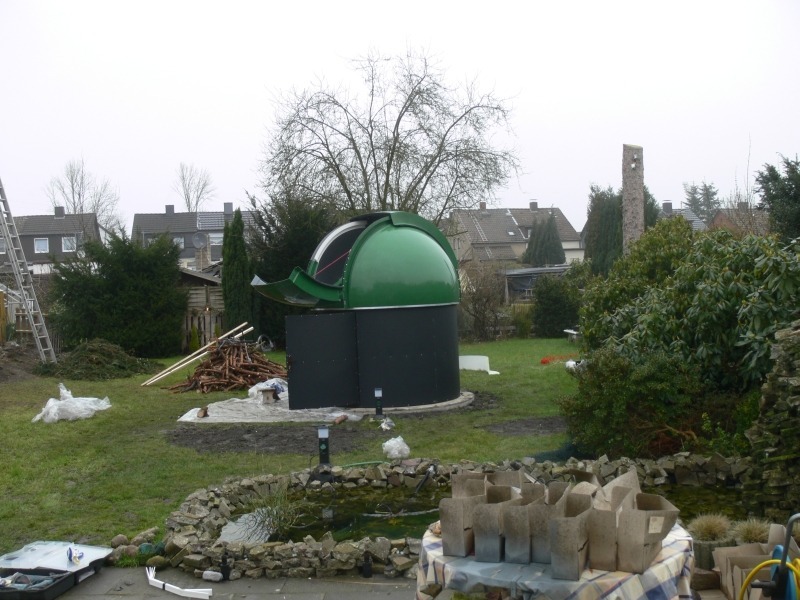 The observatory can be placed in a garden, on a balcony or on the roof of a building. It needs to be fixed to the ground, but it can be moved/removed at any time. 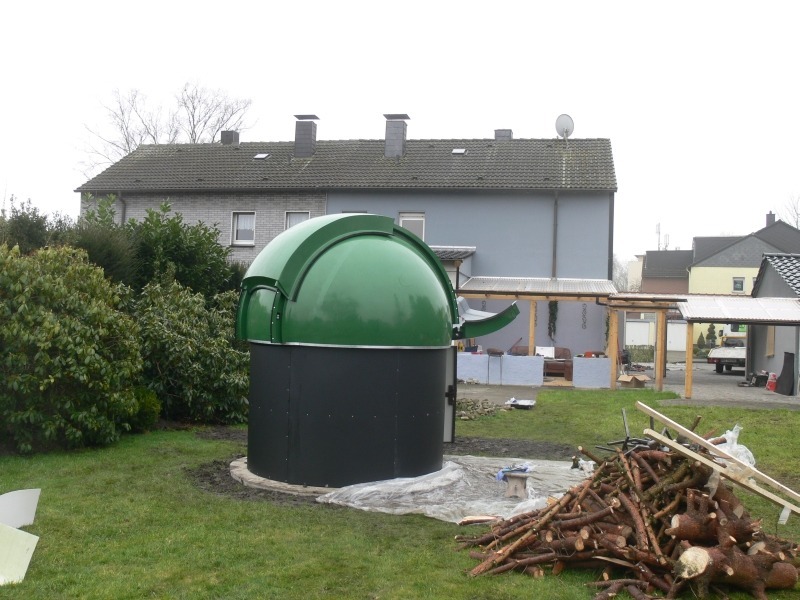 We are also open to customer opinions, ideas and wishes about what the observatory should be or look like. With our extensive experience, we can adjust and advise. - offered at very affordable prices. 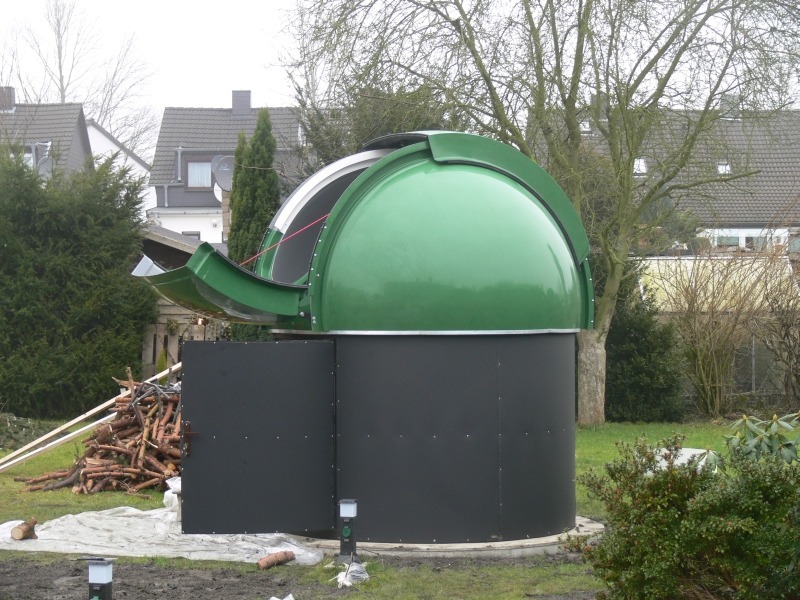 The internal finishing of the observatory domes with special materials and coatings guarantees zero-levels of light reflection during sky observation or at long-exposures with high-sensitivity cameras. 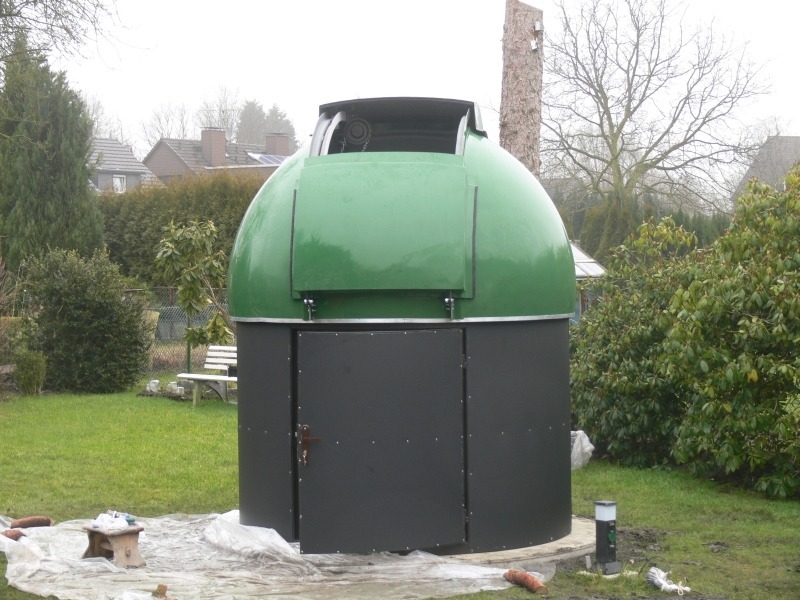 A standalone UNIWERSAL 2.2m Observatory Dome is 2.6 m high, has a diameter of 2.2 m and weighs approximately 350 kg. The observatory is accessed through a door with a lock. 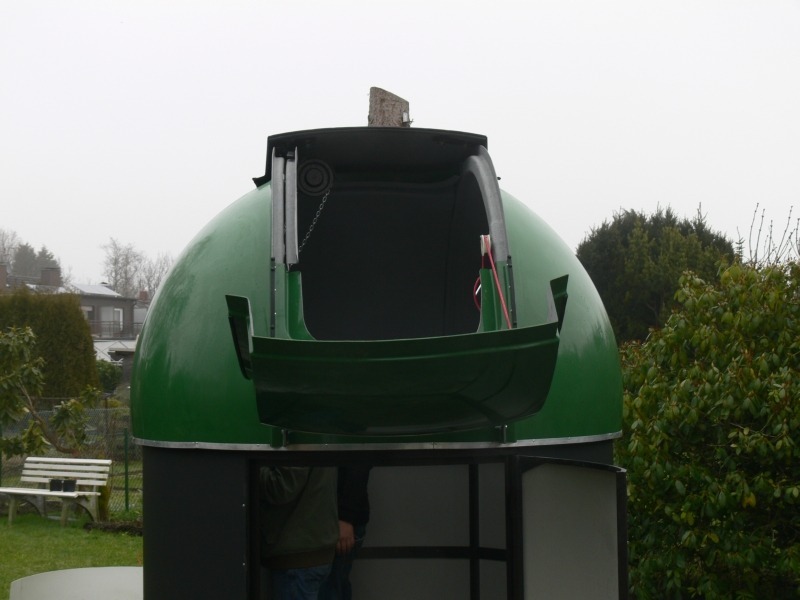 The observatory dome includes a durable, welded mount structure, which guarantees stability. The dome itself is made of 4 parts screwed and sealed. 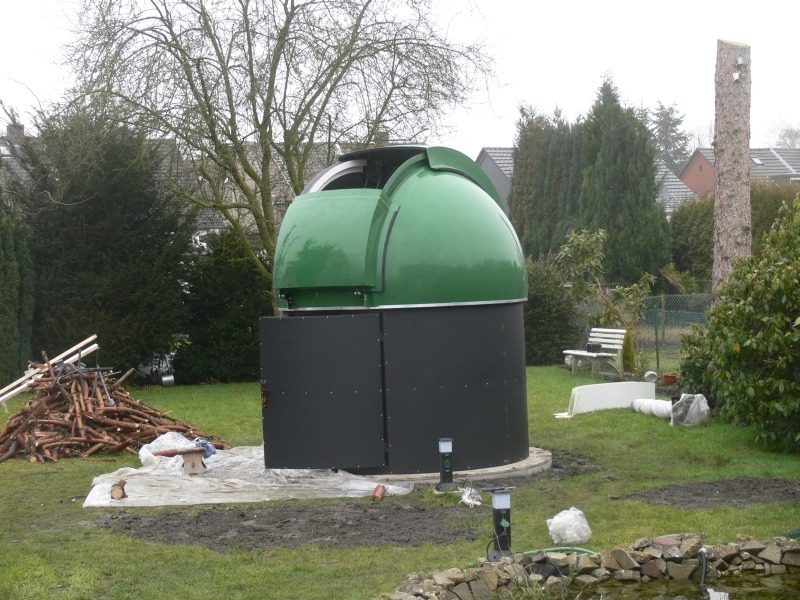 The installed drainage and weather protection system guarantee comfortable use of the observatory even at adverse, subzero temperatures. The observatory dome is a self-supporting structure based on a steel mount enabling unlimited turn of 360 degrees, and the rotation is unlimited. Additionally, we offer a free professional telescope pier (in black or white) to every observatory dome. For a perfect pier stability, please contact us to find out how to prepare the concrete floor and holes for fixing bolts. 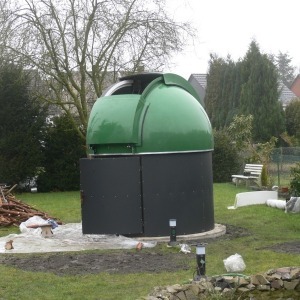 We offer a completely assembled and ready-to-use observatory delivered to the client’s place of choice. 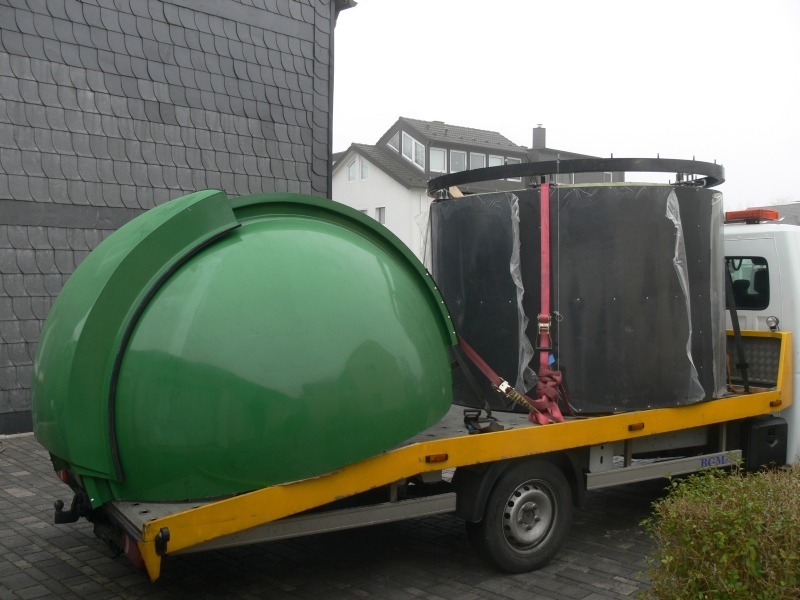 However, the total weight of the UNIWERSAL 2.2 observatory dome is about 350 kg, so a crane or a forklift truck will be necessary for the unloading at the client’s premises. The unloading equipment needs to be present before our arrival, as some details need to be coordinated with the operator. In locations inaccessible for a crane or a forklift, it is possible to unload/move the observatory dome with the help of 8 people. Special fixtures and hand grips can be sent together with the structure. For safety reasons please ask about advice and photos. 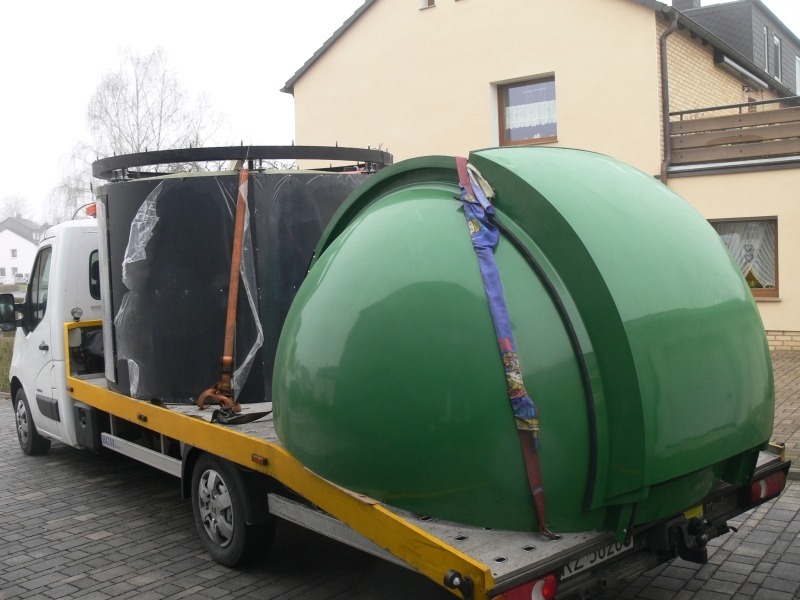 Also, some of our clients want to move the dome, after some time, to another place. In such a case, please contact us to ask how to do it and take benefit from our experience and expertise in order to avoid complications. We will send you special pictures and a detailed description what to do and how, and what to pay special attention to.